Demolition plan to be presented in wake of collapse that killed 43 people. 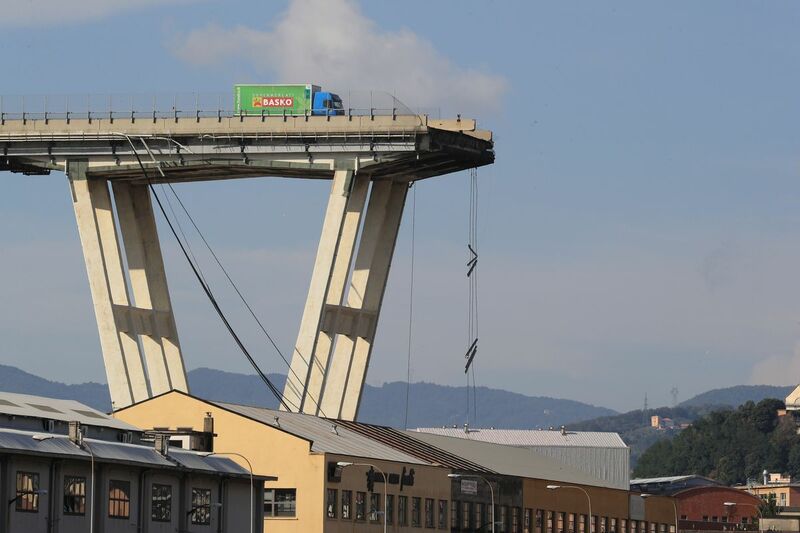 A demolition project for Genoa’s collapsed Morandi Bridge will be presented by Autostrade per l’Italia “within five days,” Liguria Governor and emergency commissioner Giovanni Toti has said. The collapse on 14 August killed 43 people, and has been the source of rumour and speculation ever since. According to a report in the UK newspaper – The Independent – the Italian engineer who designed the bridge warned of the risk of corrosion as much as four decades ago. Riccardo Morandi wrote a report in 1979 recommending constant maintenance of the structure to remove all traces of rust and fill in exposed patches on the reinforcements. The report produced 12 years after the bridge bearing his name was opened referred to a “well-known loss of superficial chemical resistance of the concrete” because of sea air and pollution from a nearby steel plant. Posted: September 6th, 2018 under Bridge.